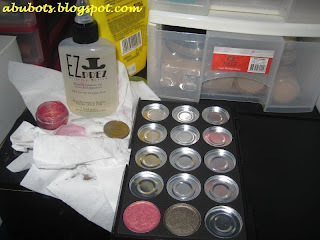 my pressed minerals from MAD and Taylormade...woot! 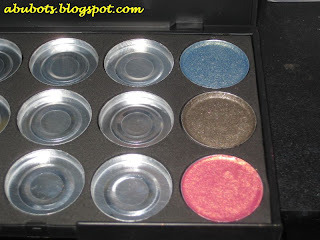 i love the empty palette, so portable and sleek. 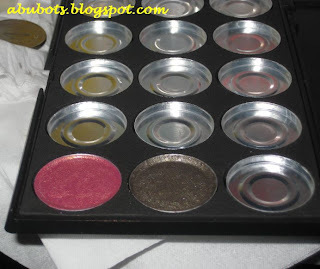 they say MAC e/s pans fit in them...hmm, gotta try that soon! I want to start pressing too! coz I've seen how pretty the colors really are after pressing! it's so nice, jamie! tara bili tau minerals tapos magpress tayo? hhehhe im planning to buy more empty palettes eh...let me know! sobrang kaadik magpress nikki hehehhe napuyat ako kakapress actually!